Leo Sewell does work by commission. 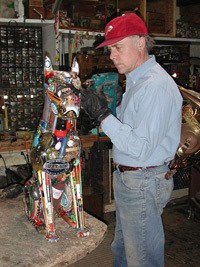 He can also use objects from the patron's past for a more personal assemblage. © 2009 Leo Sewell. All Rights Reserved.